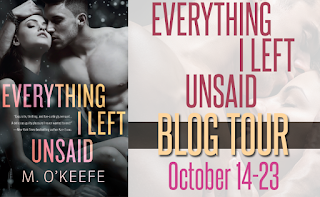 Today we are sharing some teasers and a few giveaways for EVERYTHING I LEFT UNSAID by M. O'Keefe. This title was released on Tuesday, October 13th. Be sure to enter to win one of the "Big Books" tote bags. In addition, if you pre-order the book now, you will be entered to win a $50 Gift Card to the online book-retailer of your choice. 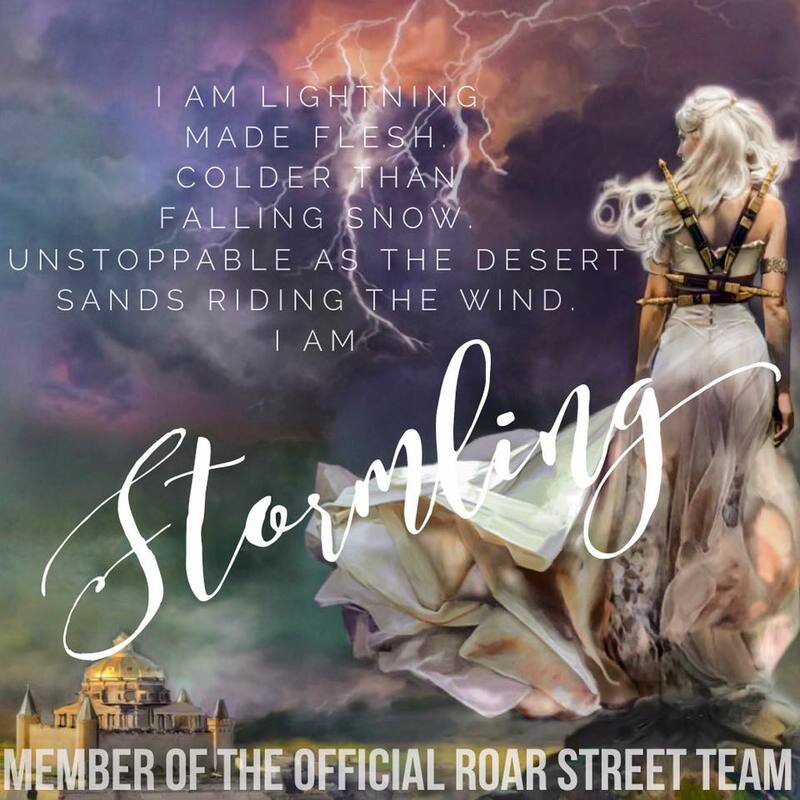 His silence went on for a long time, long enough that I pulled my fingers from my body. The breeze over my body was not cool – it was cold. I crossed an arm over my chest as if he could see me. 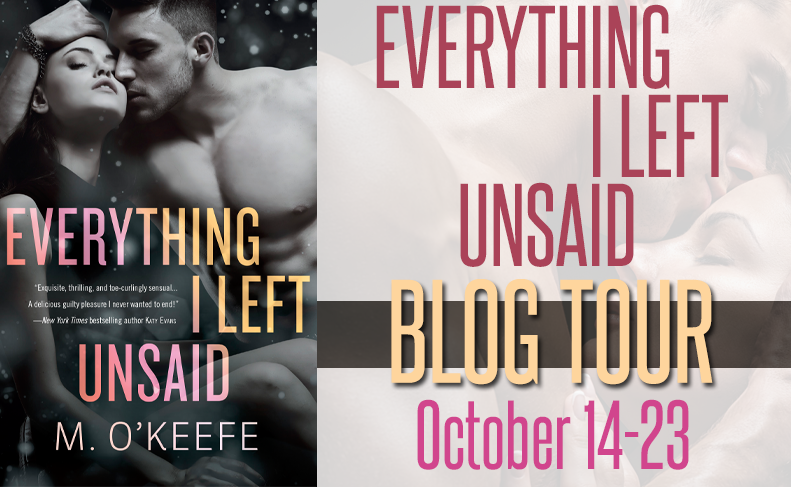 “Don’t lie.” His voice was harder than it had been and I responded instinctively. Virgin kink. My entire awful, sad and lonely sexual experience could be summed up as virgin kink? I sat up, breathless and embarrassed again. My body’s humming, its ache and throb – the slick heat between my legs, on the top of my thighs – shameful more than pleasurable. I didn’t hang up, but I didn’t say anything either. “Yes.” It came out as a sob. My body felt combustible. My emotions impossibly wild. Totally out of control. I wanted to hit and scream and cry.